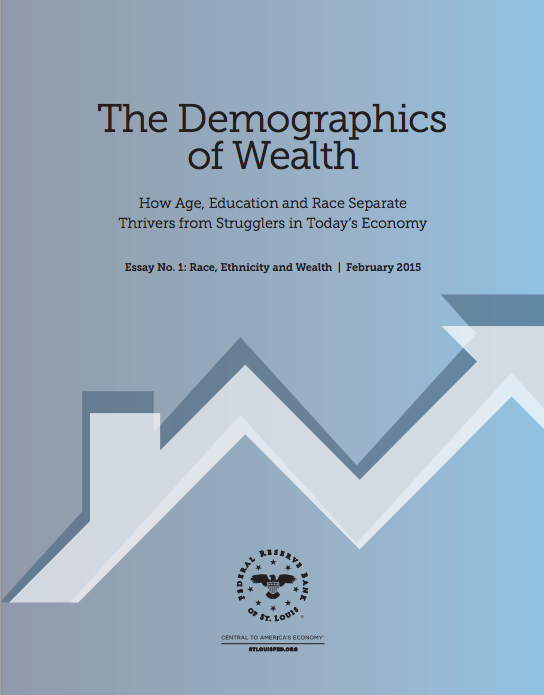 “The Demographies of Wealth” essay series from the Center for Household Financial Stability at the Federal Reserve Bank of St. Louis examines how a family’s race or ethnicity, educational attainment, and age relate to their economic outcomes and financial health. Drawing from the Federal Reserve’s triennial Survey of Consumer Finances, which includes data from over 40,000 families (spanning 1989 to 2013), the paper provides a snapshot of four ethnic groups in terms of net worth, income, assets, liabilities, and basic financial decision-making. The authors conclude that there are stark divides between thriving and struggling families, with little progress made over the last quarter-century.